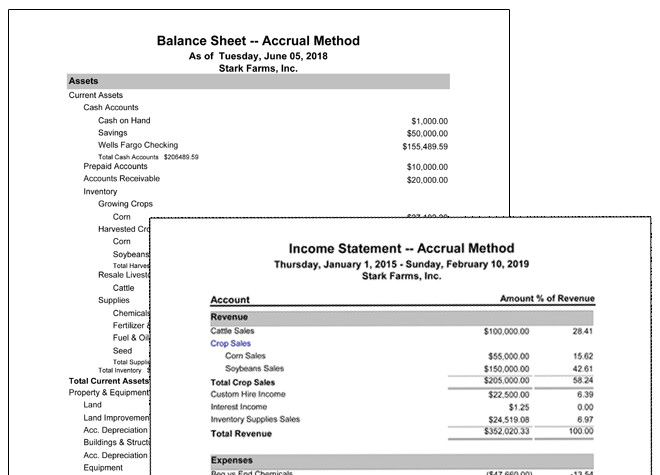 Advanced Desktop Accounting is a helpful add-on module to Farmer Fit or Farmer Pro that provides more advanced farm accounting software features that dig deeper into your farm’s financial situation. 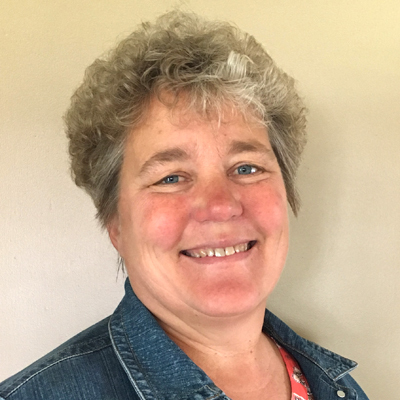 You’ll get intuitive, user-friendly tools and reports that include an accrual general ledger, cash flow budgets, invoicing, market value calculations, payroll, and over 21 financial ratios that reveal information about trends showing what is and is not working on your farm. Send invoices to landlords and clients while tracking the status of each within Accounts Receivable. 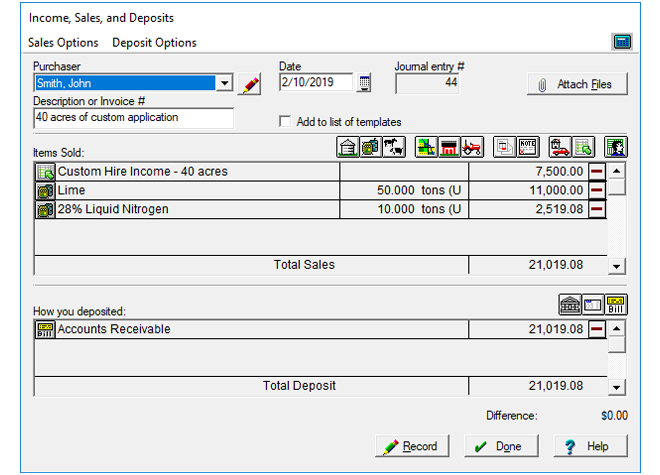 Make invoicing materials such as bags of seed or gallons of chemicals easy. The system shows the amount paid for each material prior to invoicing, giving you flexibility to adjust the price owed. Invoicing includes options to add a customized text and a logo, providing your farm business with a professional touch to each invoice. Accrual accounting measures the true profitability of your farm business. Unlike cash-basis accounting where profitability can be skewed by prepaid expenses and deferred income, accrual-basis financials hide nothing. Accrual accounting reports income when earned versus when received, and expenses when incurred — not necessarily when paid. 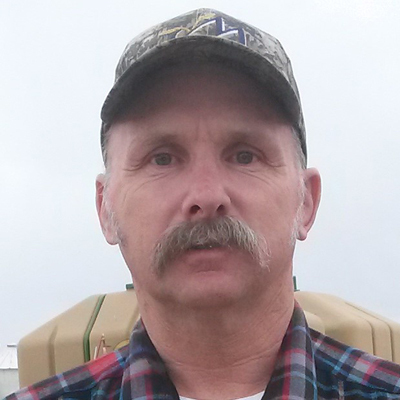 At year-end, an accrual-basis farm operator reports the following: income on grain not yet sold coupled with expenses incurred but not yet paid. Accrual accounting usually takes into account investments made in cattle and growing crops on the balance sheet as an asset, rather than an expense deducted on the income statement. Our payroll system is designed for agricultural businesses of all sizes. Pay by salary, hourly, per piece, overtime, double overtime, or customize the pay type to include hourly and piece rate for the same employee. 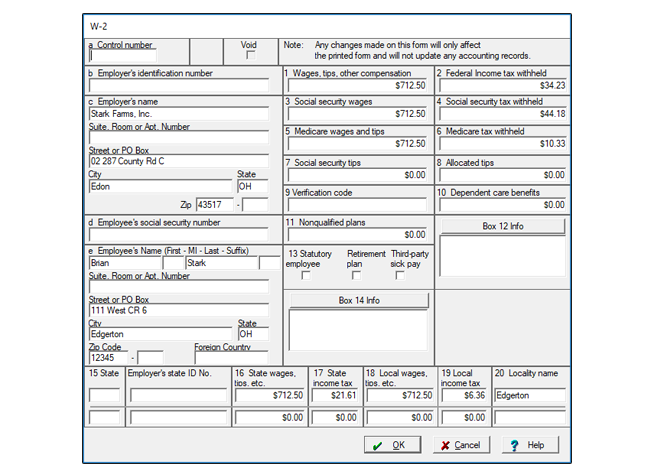 Enter payroll records for full time or seasonal employees and the system will calculate Federal, FICA and most state withholdings. 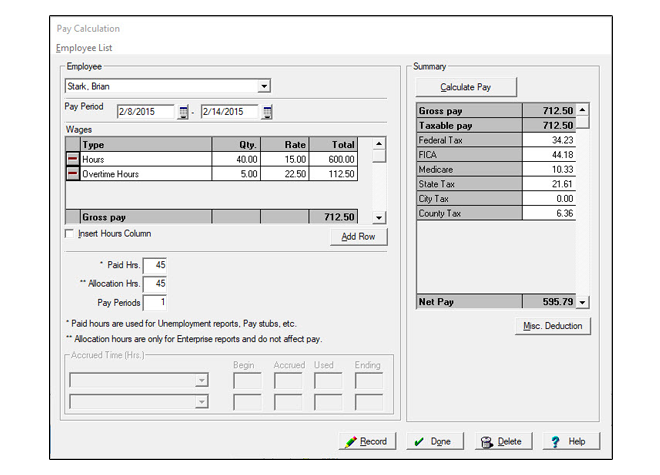 Payroll earnings can be integrated into the field records for calculating cost per acre or cost per unit of production — giving you more power to make timely decisions. Upload your W-2s, W-3s, 1096s, and 1099 electronically to the IRS, Social Security Administration, and state agencies. This service benefits farms of all sizes with anywhere from one employee (or 1099 vendor) to hundreds of employees (or 1099 vendors). The service also gives you the ability to have forms printed and mailed to your employees and/or vendors, eliminating the process of you printing and mailing W-2s, W-3s, 1096s, and 1099s — which provides a huge time savings. 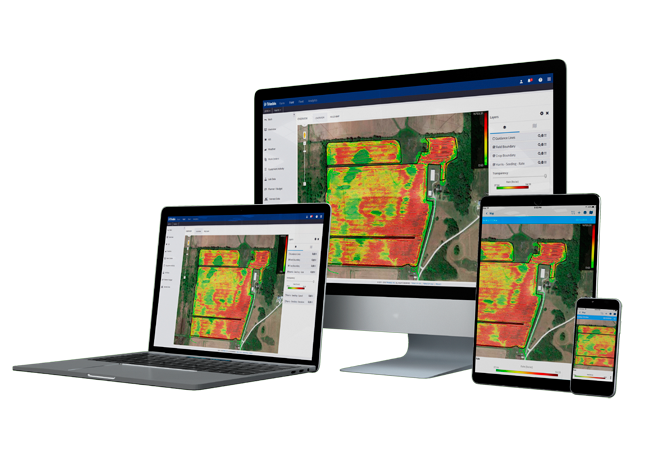 Embrace the power of intelligent precision agriculture technologies from Trimble to enhance your planting and seeding operations, while increasing farm productivity and profitability by saving on wasted inputs.